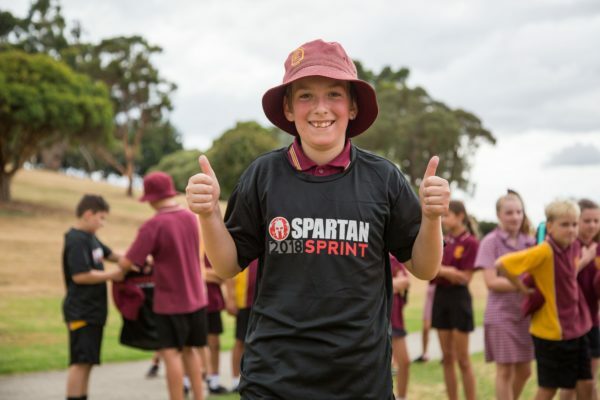 Drouin Primary School students took on a miniature Spartan course at Civic Park this morning. 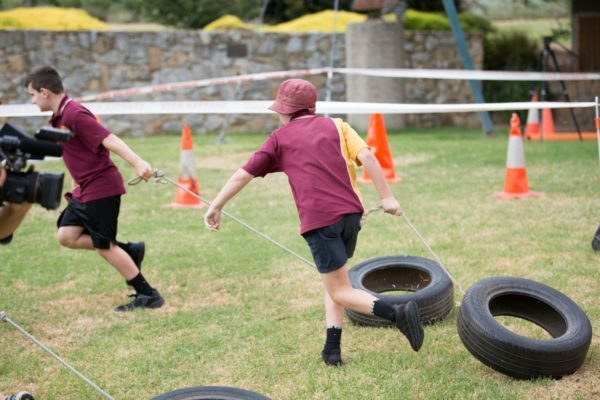 The world’s premiere obstacle course, Spartan Australia, will make gladiators out of Gippsland youngsters when its standalone kids’ race heads to Baw Baw Shire for the first time on 15 and 16 April. 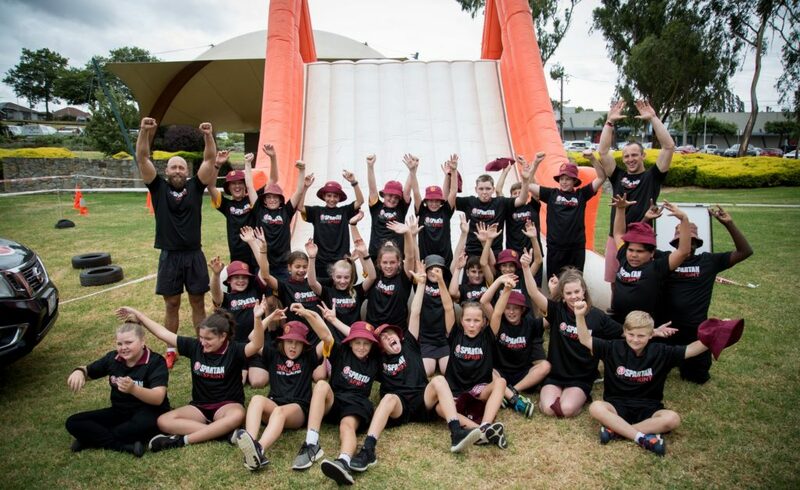 Drouin’s Civic Park will become a Spartan arena where children aged three to 13 can unleash their inner warrior to conquer a fun filled obstacle course over two massive days. The non-competitive, fun, safe and family friendly run caters to kids of all abilities and fitness levels with a focus on getting outdoors and physically active in the school holidays. 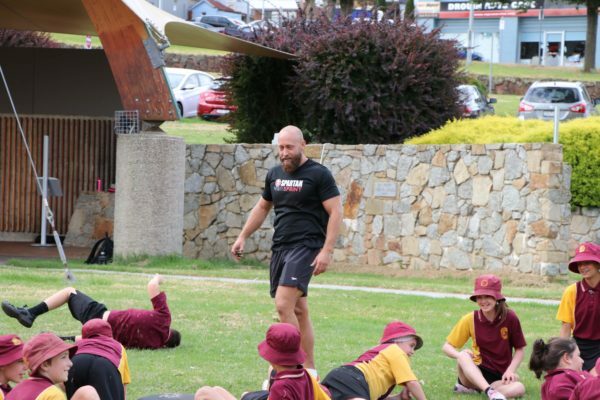 “At Spartan we’re all about getting kids away from screens, off the couch, and getting active in a purpose built environment,” Spartan Australia Managing Director Chris Heverin said. 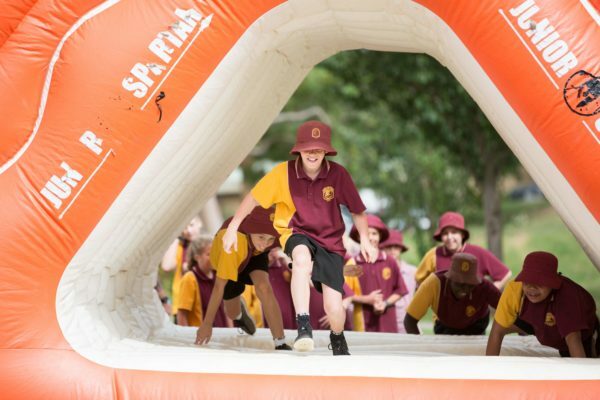 Drouin Primary School students were treated to their first taste of Spartan endurance today as they trialed a miniature course featuring a tyre pull and giant inflatable slide. Latrobe Valley Authority CEO Karen Cain said she hoped to see the enthusiasm of the children taking part today carry over to the full-scale event in April. 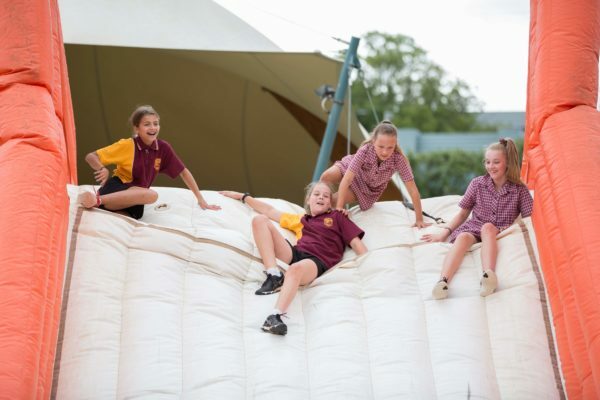 “This is a fantastic family friendly festival and a great option for kids and parents looking to get out of the house and into the great outdoors for some fun and fitness in the school holidays,” Ms Cain said. “We’re particularly excited to bring a major event like this to the Baw Baw Shire as we broaden the benefits of our sports and community initiative across Gippsland. Spartan Kids Latrobe Valley will attract thousands of kids from regional Victoria and Melbourne, boosting the local visitor economy with families visiting, spending and staying in the region. This event forms part of the Latrobe Valley Authority’s $85 million Latrobe Valley Sports and Community Initiative (LVSCI).